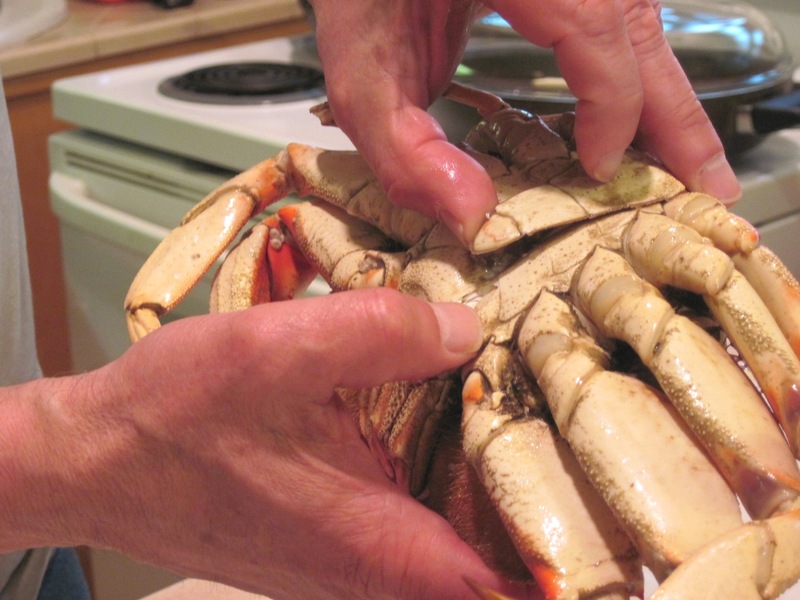 Crab Vermouth is one of our favorite recipes from Sunset’s Cooking for Two…or Just for You. The crab is simply heated up in a buttery broth and served with hot French bread for dunking. The recipe doubles, or even triples, easily for a super-easy dish that guests love. 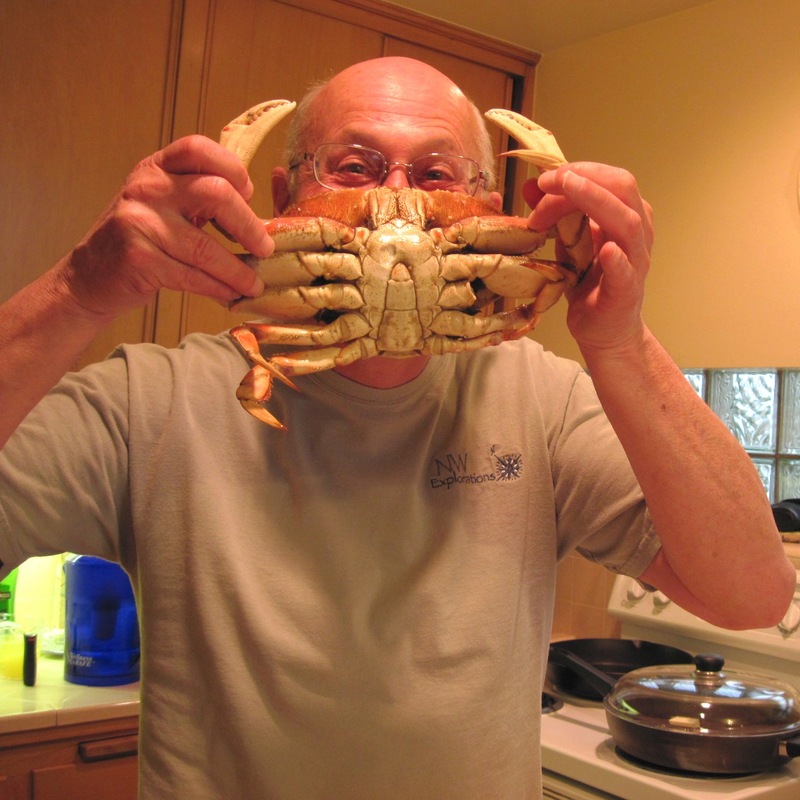 I use a large Dutch oven when I’m cooking 2 or 3 crabs. 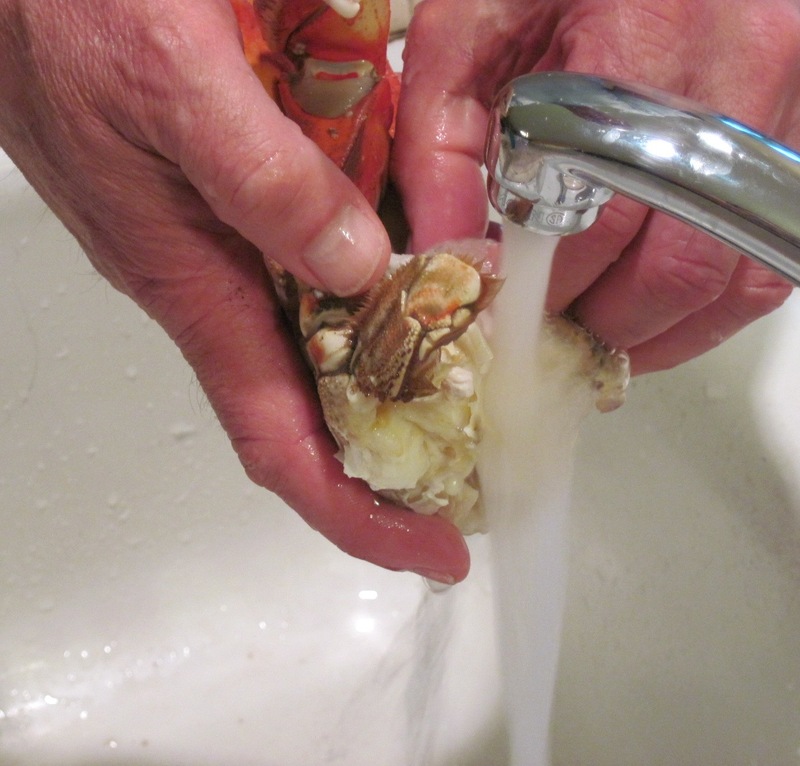 To best preserve the crab’s freshness, I’ve read it’s best to clean it just before you use it; instructions follow the recipe. 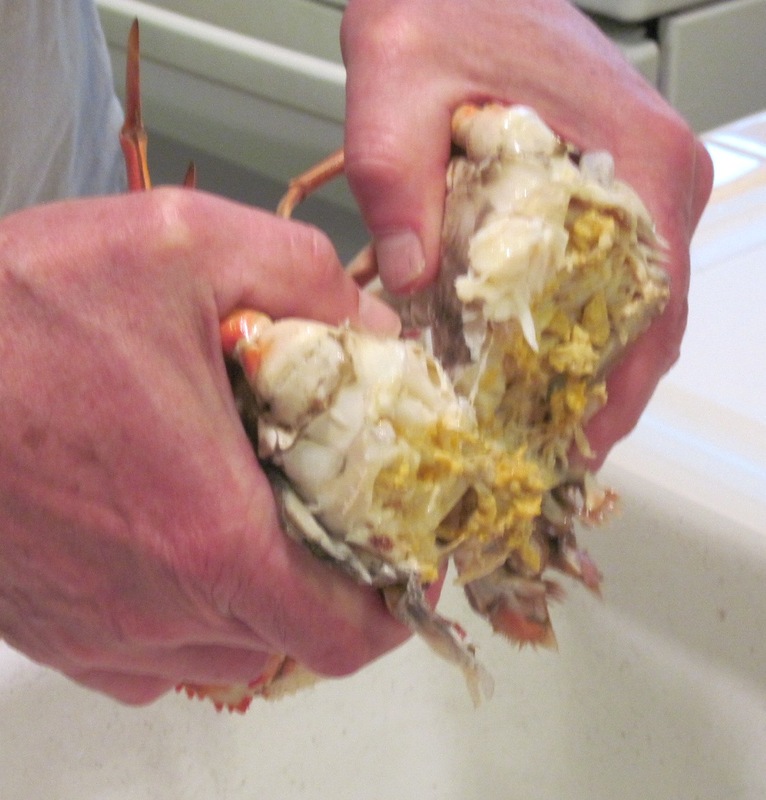 If you’d rather not do it yourself, however, they’ll be happy to do it for you at your seafood shop. Truthfully, you’ll probably not notice the difference. Melt the butter over medium heat in a wide skillet that has a lid. For a slightly thicker broth, remove the pan from the heat and blend in the cornstarch. Add the broth, the ½ cup vermouth, parsley, garlic, soy sauce and lemon juice. Bring to a boil. Cover and simmer for 10 minutes. 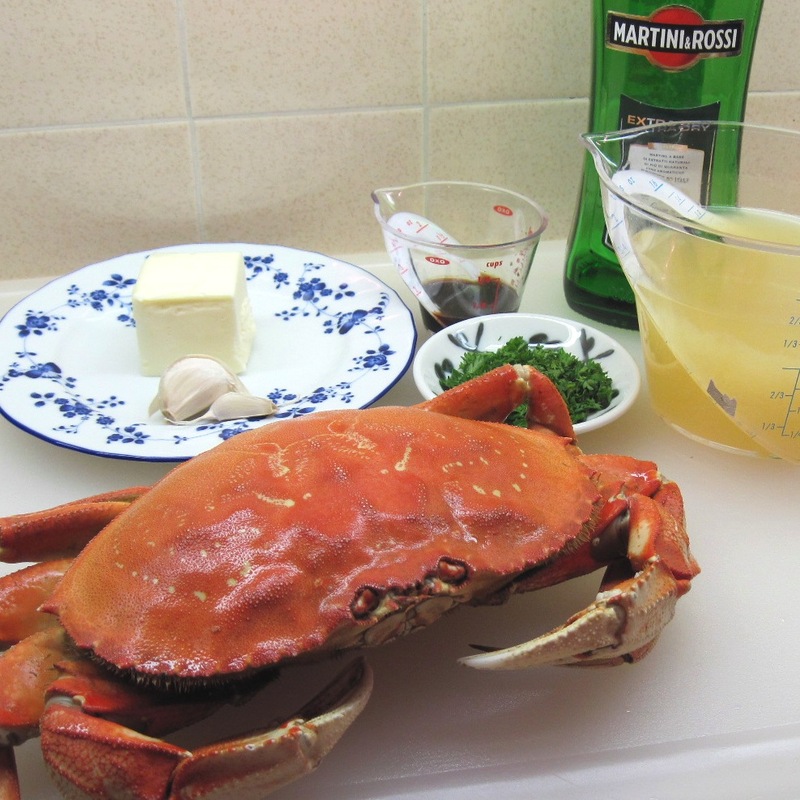 Add the crab; cover and simmer for 10 minutes. 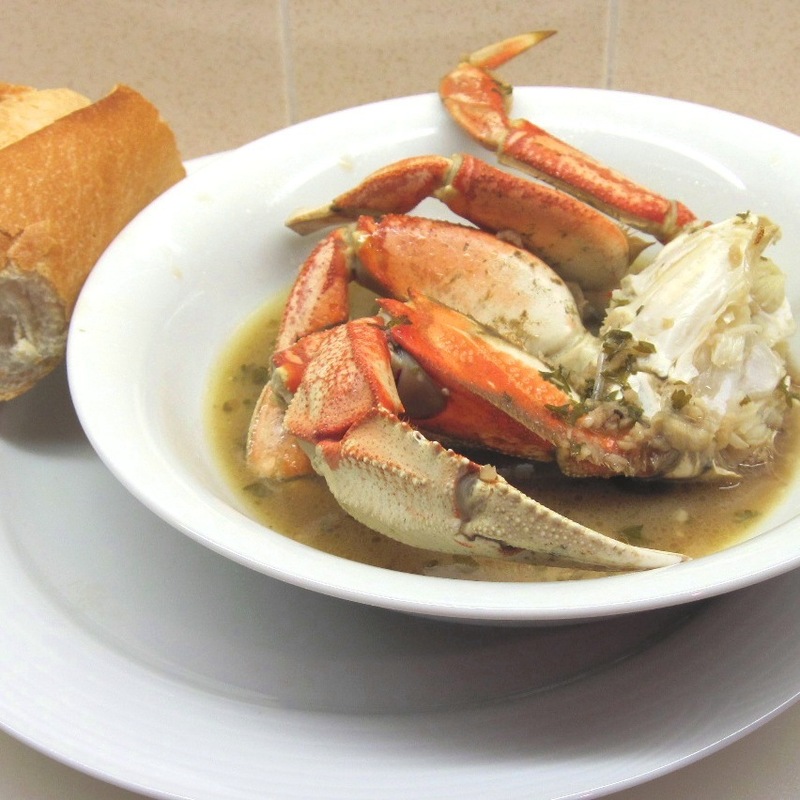 Add the 2 tablespoons vermouth and serve the crab and broth in shallow bowls with the hot French bread. 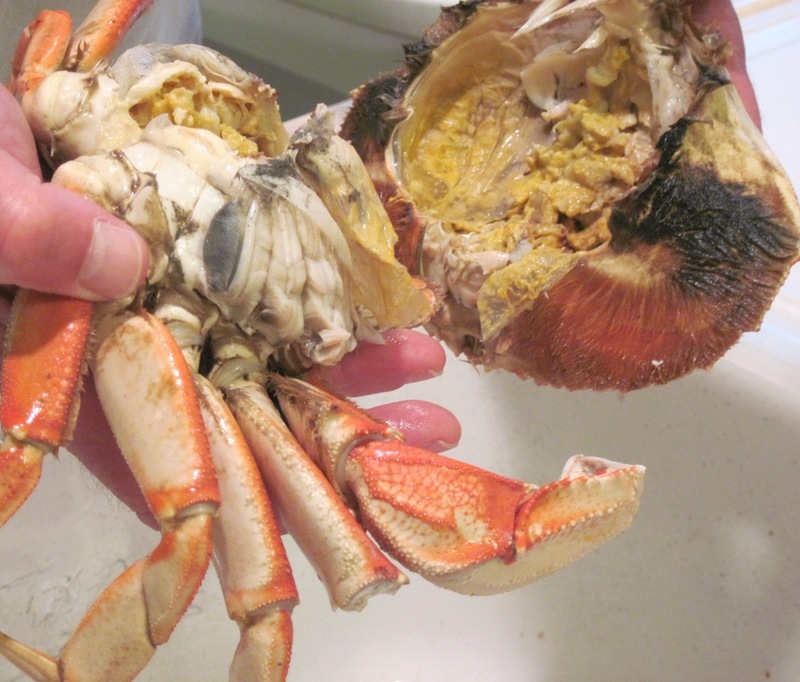 Full disclosure: You’ll note that I have Bob clean the crab for me. He’s always happy to do it. If he were not willing to do it, I would probably have it done where I buy it. 1. Turn the crab over and lift this little part. 2. 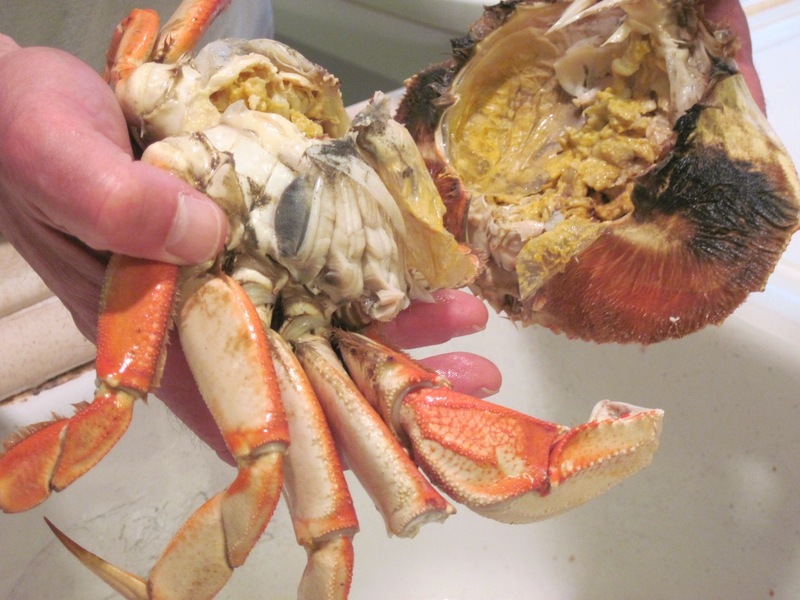 Pull the large top shell off of the crab. 3. 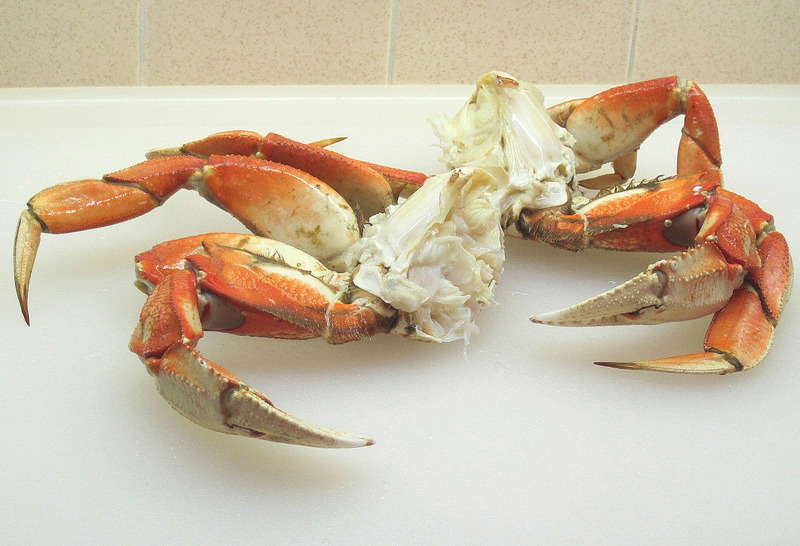 Break the crab in two pieces down the middle. I do love me some crab vermouth!